…[W]e have been made holy through the sacrifice of the body of Jesus Christ once for all….For by one sacrifice he has made perfect forever those who are being made holy. If you’re like me, then at this time of year you go through the futile ritual of The Filling Out Of The Brackets. For the uninitiated, what I’m referring to us the practice of filling out a bracket for the NCAA Men’s Basketball Tournament — March Madness. You start with the 68 teams that made the tournament, and then you try to predict the winner of each game until you get to the National Champions. The trick, of course, is that you have to pick every game — 67 games, if I’ve done my math correctly — before the first one tips off. You can’t go back and change your picks after the games have started; if you do it online, the websites usually won’t let you. The odds of picking all 67 games correctly are hard to calculate, but they’re astronomical. If every game was a coin flip, you’d expect one perfect bracket for every 9.2 quintillion filled out. I don’t even know how to write that in numbers. Needless to say, there’s never been a verified perfect bracket in the history of the 68-team tournament. The closest anyone has come seems to be 39 games. If, like me, you’re already unreasonably furious at Greg Nigl, then this won’t make you feel any better. 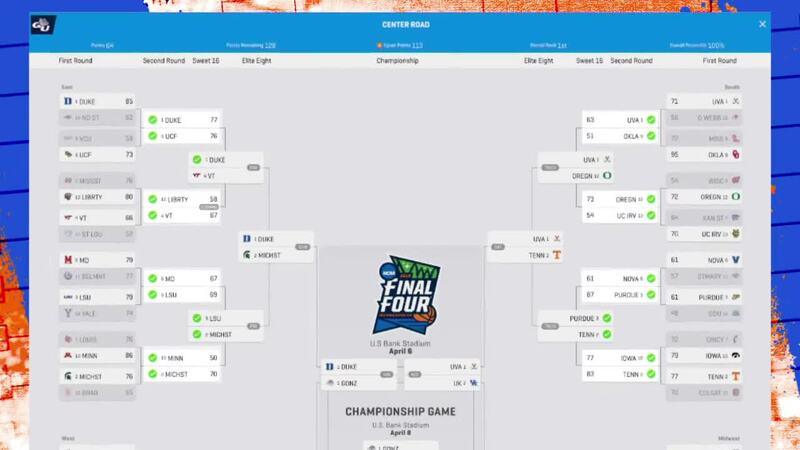 He says he almost didn’t even fill the bracket out, and he hasn’t even looked at it since. He had no idea what he had done until someone from ncaa.com contacted him. He also says he makes his picks partially on which cities he likes better. What, uniform color is too complicated for you, Greg? Next year, I’m filling out my bracket on the basis of which mascot would win in a fight. I couldn’t do much worse. 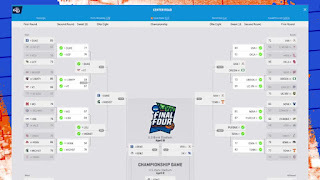 In fairness to Greg Nigl, he does acknowledge that his “perfect” bracket has as much to do with luck as anything else. I suspect that’s true about human “perfection” in most of its forms. I mean, you wouldn’t know it by the way we defend our decisions, justify our mistakes, and generally try to project an air of infallibility, but I think most of the time what we call “perfection” is a cocktail of skill, hard work, having good people around us, positive factors that we can’t control, and luck. Please understand that I’m not trying to discount the amazing things that people can accomplish, that you’ve accomplished. I’m just saying that we vastly overestimate the degree to which and the frequency with which we’re actually perfect. It isn’t possible to draw or trace a perfect circle. You can't create a perfect black color. Perfect pitch exists — though musicians prefer the term “exact pitch” — but doesn’t make a person a perfect musician. To us, a movie or TV actor may look perfect; but without the makeup, lighting, and cinematography we’d see the same kinds of flaws the rest of us have. Sometimes perfection has more to do with the terms we use than anything else. In 1941, Joe DiMaggio was “perfect” in getting at least one hit a game for 56 straight games. Incredibly impressive; the closest anyone has ever come to it since still fell 12 games short. Still, he wasn’t “perfect” during that streak; he went 91-223, an average of .408, so almost 60% of his at-bats ended with outs. In fact, Ted Williams had a higher average over that period, though he wasn’t perfect, either. Even when we are perfect, it doesn’t last. Perfection is fleeting; it evaporates the inevitable moment that we make a mistake. Like Greg Nigl: in between the time I started writing this and the time I finished, Greg’s bracket was busted. He picked Tennessee to beat Purdue. In spite of this, in spite of the fact that “perfection” is a difficult and elusive idea, we still put a lot of pressure on ourselves to attain it. We sometimes beat ourselves up when we fall short of perfection, and we sometimes make others miserable in our quest for it. How’s that quest for perfection worked for you? You’ve worked hard, done everything right, and still failed, haven't you? Or you had a bad day, or cut a few corners? Or you’ve been the victim of a blown call or a bad break? And probably at least once or twice, you've blown something so monumentally that you really doubt anyone will ever forget it. It's hard to be perfect, even for a little while. And it's impossible for us to maintain for very long. And that's why it has to be God's work. But that's not all. We've been made perfect, but we're being made holy in Jesus. Again, it's God's work. He's the one who separates us out from the world so that we'll be fit for his purposes. And that's ongoing. That's where the places where we don't look too perfect are dealt with. In the process of making us holy, God confronts our selfishness and sin. He reminds us that we are his and that our purpose is nothing more or less than to be living temples from which his glory shines. One day, when his work is finished, we will be exactly what he intends for us to be. We’ll be perfect. In Christ, the issue is settled. The conflict is over. As long as we're in him, you and I are perfect, and nothing anyone can say or do, and not even our own failures, can change that. So give yourself a break. Give everyone around you a break. You don’t have to achieve perfection, and you really gain nothing by putting on a front. In Christ, you’re perfect as you are. Aren’t you looking forward to what you’re going to be?